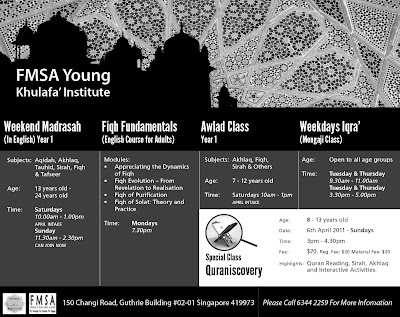 Insyallah , FMSA will opened up new classes for different aged group in April 2011.Take a look at our poster below. We will have classes for kids , youths and adults ! Thanks for sharing your thoughts about acrobat reader.